Are you taking advantage of this GREAT opportunity that Etsy provides to all sellers free of charge? 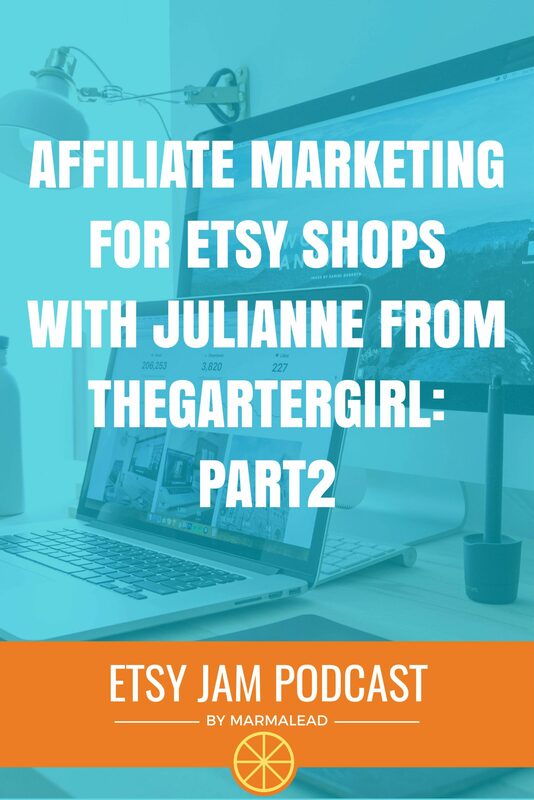 With about 30 million active shoppers, Etsy brings a huge audience to your doorstep if your SEO is lined up, but if you want to go above and beyond and pull in even MORE customers, Julianne from TheGarterGirl is here to tell you exactly how you can make that happen. Read on to learn all you can about Etsy affiliate marketing in this week’s Etsy Jam!